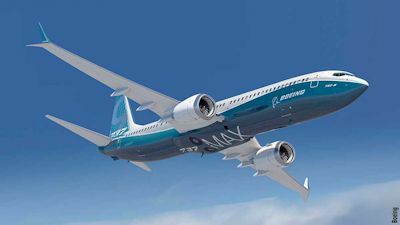 Boeing Co said today that it sees no business case at present for offering an extended-range version of its largest 737 jet, the forthcoming 737 MAX 9, to compete with a long-range plane that rival Airbus launched on Tuesday. Earlier, Airbus said it had won 30 orders for an extended range A321neo from lessor Air Lease Corp.
Boeing said both its existing 737-900 jet and the 737 MAX 9 exceed the A321's range so the long-range version of the Airbus plane will simply be catching up with what Boeing already has. The A321 seats 185 passengers in a typical two-class configuration, versus 180 for the 737 MAX 9. Boeing also said it doubts Airbus' projections for the size of the market for such a long-range plane, which aims to fill a gap left by the out-of-production Boeing 757. The thought of a market for 1,000 airplanes of that size is "frankly a little bit laughable," Randy Tinseth, Boeing's vice president of marketing, said on a call with reporters. "But it's a market space we're looking at," added John Wojick, senior vice president of global sales and marketing. 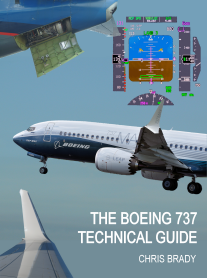 Boeing acknowledged that there is a gap between its biggest 737 and the 787, its next-largest plane, Tinseth said. But the company sees those as two different markets for airlines. Boeing has already said it plans to replace the 737 MAX by 2030 with an airplane that will likely be larger and have a carbon-composite airframe. Airbus said on Tuesday it received net orders of 1,456, which topped Boeing's tally of 1,432 net orders. Asked about Boeing's strategy to increase sales in 2015, Wojick said that while orders are important, Boeing is more interested in beating Airbus on aircraft deliveries, since that generates revenue and cash that investors want to see. To that end, he said, Boeing has focused on matching Airbus on deliveries of single-aisle planes, which account for two-thirds of its plane production. "Where the rubber really hits the road is when airplanes actually deliver," Wojick said. Boeing delivered 485 of its 737s last year, compared with 490 of Airbus' competing A320s. Overall, Boeing delivered 723 commercial aircraft last year, topping Airbus' tally of 629 to remain the world's largest plane maker.